Canada trade surplus with the US widened in April. The Canadian dollar rallied against the US dollar Wednesday. Follow the loonie in real time here. Canada’s trade surplus with the US widened in April, after narrowing for five straight months. The trade surplus Canada runs with the US widened to C$3.6 billion from C$2 billion in April, Statistics Canada said Wednesday. The Canada-US merchandise trade surplus had hit to its lowest level in two years the month before. Both the US and Canada saw record exports in April. Total Canadian exports rose 1.6% to a record C$146 billion, while imports in the country fell 2.5% to C$50.5 billion. Total US exports rose 0.3% to $US211.2 billion and imports fell slightly, narrowing the trade gap 2.1% to its lowest level since September. Negotiations for a new North American trade deal have seen little progress recently. Analysts predict negotiations could drag into 2019 after the three countries missed a deadline last month set by House Speaker Paul Ryan. 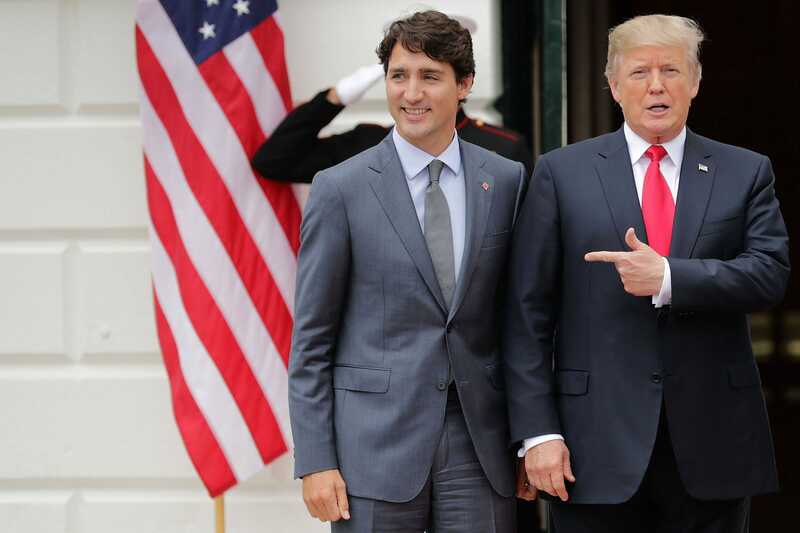 Washington imposed hefty steel and aluminium tariffs on Ottawa last week, prompting swift retaliatory responses from Prime Minister Justin Trudeau. Trudeau proposed duties on $US12.8 billion worth of US goods, including maple sugar and syrup. The loonie was up 0.75% versus the dollar at 9:15 a.m. ET.